If you're looking for 'wave' electoral rebukes, Obama and Clinton provide Exhibits A and B. More like a splash pad. That's the primary takeaway from this week's long-anticipated midterm elections, in which voters registered their first nationwide performance review of the Trump Administration. 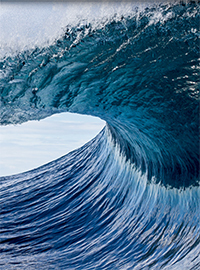 You want an actual "wave" midterm election? Try 2010, when Barack Obama lost 63 seats in the House of Representatives, the most devastating midterm swing since 1938, thereby losing the overwhelming Democratic majority that greeted him in 2008. He also lost 6 Senate seats, as well as a record-breaking 680 state legislative seats. For the first time since Gallup began measuring party affiliation nationwide, there are now more red states than blue ones... "It also marks a dramatic shift from 2008, when Democratic strength nationally was its greatest in recent decades." The shift in party affiliation over the past seven years is absolutely incredible... From 2008 to 2015, Democrats went from a 30-state lead to a six-state deficit when it comes to states solidly or leaning their way on party affiliation. That is simply stunning. Gallup's findings are in keeping with what I think is the most under-told story of the Obama years: Republicans have made massive gains at virtually every level of government other than, of course, the White House. Republicans have their largest House majority since World War II, having retaken the majority in the 2010 election. They hold a four-seat majority in the Senate, having seized control of the world's greatest deliberative body in the 2014 midterms. For another illustration of a "wave" midterm election, consider Obama's Democratic predecessor Bill Clinton. In 1994, just two years after he was elected president, Clinton saw his party lose 54 seats in the House, which returned to Republican control for the first time since 1954, Dwight Eisenhower's second year in office. Clinton also lost 8 Senate seats, which meant that it was also the first time since 1954 that both houses of Congress switched party majorities in the same election. If you're looking for "wave" electoral rebukes, Obama and Clinton provide Exhibits A and B. More broadly, sitting presidents have averaged 30 lost House seats and 4 lost Senate seats over the past 21 midterm elections. So how did the allegedly radioactive and bumbling President Trump perform in his first midterm test? On the Senate side, he actually achieved that rare feat of gaining seats. As this is being written, Arizona remains uncalled, although it appears that the seat will remain Republican. Since neither candidate in Mississippi got 50% of the vote, due to minority candidates, there will be a November 27th runoff, but Republican Cindy Hyde-Smith is most likely to retain the seat. While Florida is being recounted, Republican Rick Scott is virtually certain to retain his win over Bill Nelson. Added to Democratic losses in Indiana and Missouri, Republicans will thus net three additional Senate seats. And on the House side, several races remain undecided. At the present time, however, it appears that Republicans will lose about 30 seats, which is at or even below the historical average. Although losing a House majority isn't something that Republicans would've wished, it's hardly catastrophic. After all, it was unlikely that significant legislation originating in the House would've occurred over the next two years as the 2020 presidential election approaches. In contrast, losing their Senate majority would've been catastrophic for Republicans and President Trump. That would've instantly terminated their ability to continue confirming Supreme Court and lower court conservative nominees, which constitutes perhaps the most critical issue among conservatives and libertarians when they cast their votes. In fact, the issue of judicial appointments might've proven the pivotal factor in preserving Republicans' Senate majority. Prior to the confirmation hearings for Supreme Court nominee Brett Kavanaugh, after all, Democrats maintained a significant edge in voter enthusiasm and individual Senate race polls. By the time that Kavanaugh was confirmed, however, that advantage had evaporated due to the treatment to which he was subjected by Democrats. Accordingly, a judicial nomination proved the pivotal factor in swinging several tight races in the legislative body responsible for confirming judicial nominees. Going forward, the primary task for President Trump and Senate Republicans will be continuing their record pace of confirming new judges. And on the House side, the important pursuit will be persuading swing-district Democrats to vote for legislation that can continue President Trump's remarkable economic performance to date via deregulation and reducing tax and other burdens on businesses and consumers. That will test President Trump's abilities as a deal-maker. But at the very least, he's already proven himself more skilled at maintaining and even expanding his party's Congressional majorities that those supposedly masterful politicians Barack Obama and Bill Clinton.